OFF TO A FAST START FOR THIS CHRISTMAS! In addition, most military budgets finish on September 30, so the army base chapels and navy commissaries around the country and overseas are rushing to use some of their “use it or lose it” remaining funds to upgrade their Nativity or add Large Toy Soldiers to their Christmas decorations. Military budgets, like most government budgets, are adjusted the following year based on what was used in the past year. We are not sure what affect the new government austerity will have on future expenditures.. Since these bases are the “home away from home” for military personnel at Christmas, these decorations must be important for their celebrations. There have been several requests for a ten foot Nutcracker, twelve foot Nutcracker and a nine foot Nutcracker on a Drum. The popularity of the indoor Santa, Sleigh and Huskies gave rise to an outdoor version with beautiful fiberglass dogs. The traditional version of the Santa, Sleigh with reindeer continues to be in high demand for private homes as well as shopping centers. 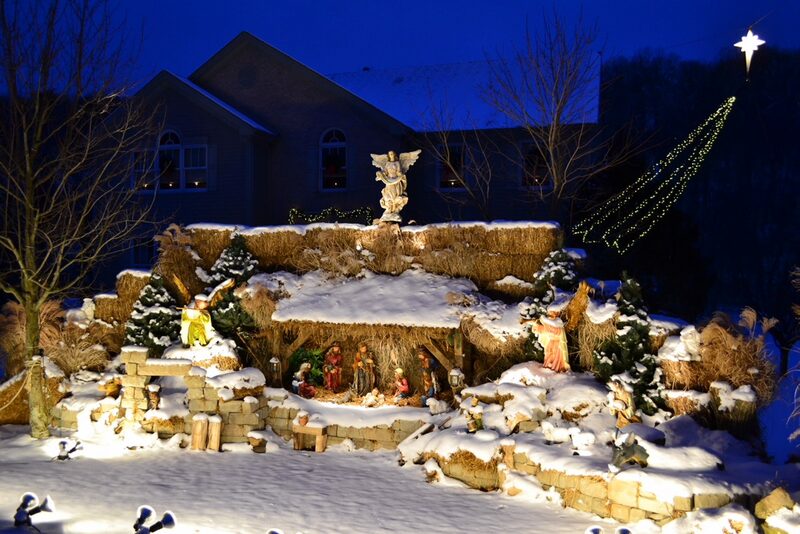 This season, so far, has seen increased demand for full life size 6 foot scale Nativities, which is purchased by shopping centers, municipalities and businesses as well as churches and some very large and devout private homes. The trend toward Christmas decorating with outdoor figures continues to grow. There are more figures available, the figures are durable and the finish is bright and long lasting.